Do not blame Nigeria, it is nothing but a name forced upon a people yet to find their identity. The name was created as a collective noun, we accepted as a people without embracing it’s true purpose but why blame the white man for naming a country out of convenience? Before he arrived did we not all co-exist within different regions, aware of each others existence maintaining peaceful harmony? Did we not spar as is normal human nature without his interference but still live together on the same piece of land with no borders? The white man saw us as a resource to use to his advantage as we sow seeds that we may reap, why then can we not use ourselves to our own advantage in his absence and learn to build on the things we already had? I know everyone will jump to defend us as a nation but how many of you truly defend the nation? How many of you see a Nigerian as a nigerian and not a tribal man? We wail about racism but are as bad as the racists we race after for acceptance and acknowledgement but I digress. Before the white man we had our farms, he came and turned them into plantations, he left and we abandoned our farms to search for the white man and not for growth of the resources he sought that fed us. He came to educate, divide and conquer us, we chose the religion and abandoned the knowledge that could have made us a great entity. We understood trade by barter but exchanged it with hunger for money while the resources it could buy died, leaving us with nothing but greed to survive. He saw the value in our art and culture and harvested it for exhibitions while we abandoned our pride to become who he was. And we wonder why we are where we are. The road to success is not a straight one, you have to take the stairs but we focused on the results of the white man and not on the work he put in. Our farms must feed us again, our culture must entertain us once more, our value lies in appreciating who we are. So what if we’re stuck with a word that defines our boundaries and gives us an identity. 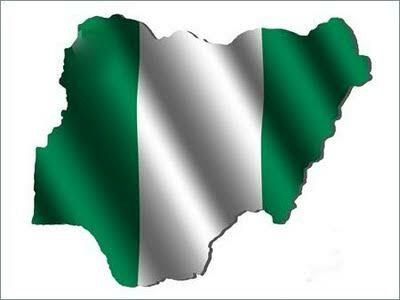 Don’t blame Nigeria, it is nothing but a name forced upon a people, yet to understand that their strength lies within .